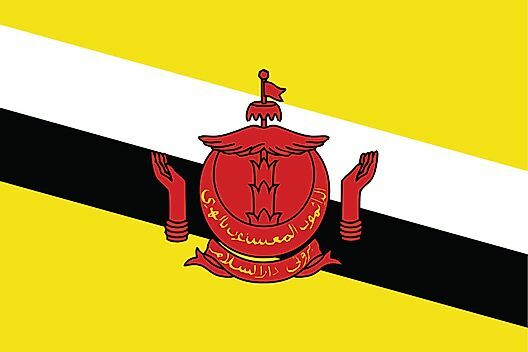 Coat of Arms: Brunei's national crest was adopted in 1940, and contains five components: the flag, royal umbrella, wing, hands, and the crescent symbol of Islam. Arabic script reading, "Always in service with God's guidance," is written on the crescent, and below a banner displays the name of the country. 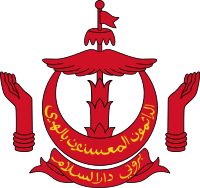 The wings of the crest represent protection of justice, tranquility, prosperity and peace; the hands for the government's duty to preserve and protect.